A handy item in any shop or tool box! 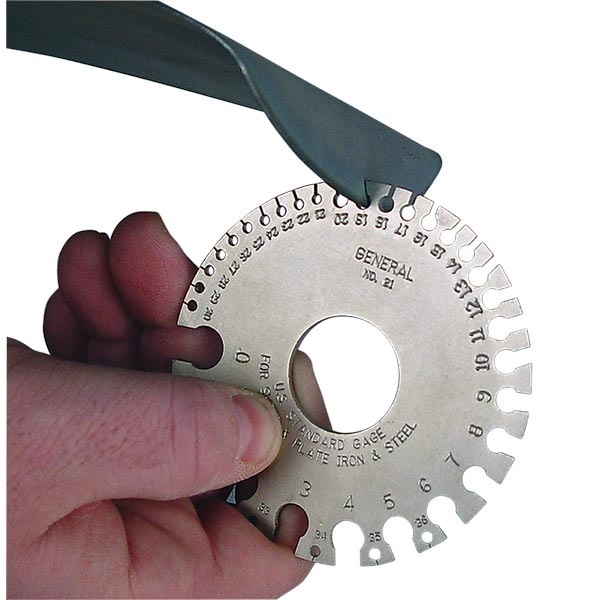 Measure sheet metal thickness, plate iron, and steel. Numbers are US standard scale from 0-36 gauge with decimal equivalents on rear side. Made with heavy tool steel. 3-1/4" dia.